To ensure all of the data you are receiving and sending over the internet is secured and encrypted from prying eyes, it is a good idea to utilize a VPN service for your mobile device’s or computer’s internet connection. Virtual protected network (VPN) services are also the best way to boost your privacy, anonymity, and overall security when surfing the web. One of the more popular and successful VPN service providers is VPN4ALL. They offer a variety of solutions for people who use the internet for just about any purpose. For example, in your office or school, if the IT administrator monitors your online activities or blocks access to some or all internet resources, VPN4ALL can provide you with a workaround. There are a lot of VPN services on the market these days. It is hard to figure out which ones are all talk and which are legit. I have had the opportunity to test out a lot of these. Today, I am going to take a closer look at VPN4ALL and figure out if it is a worthwhile product for you to use on your internet accessing devices. 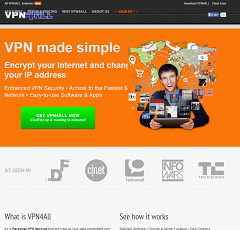 VPN4ALL is a subscription based VPN service that does not require any hardware. They combine a fast global VPN server network, a simple to use VPN client for Mac and Windows, and enhanced VPN technology. On any type of internet connection, VPN4ALL has given users all over the globe anonymity, top notch online security, an unrestricted online experience, and privacy. Founded in 2009, VPN4ALL Ltd. is based in the Netherlands. Online banking security software industry veterans with over a decade of experience created VPN4ALL with the goal of addressing restrictions and limitations of internet server networks, building a versatile online privacy, anonymity, and security solution, and bypassing today’s online threats. To optimize the protection of clients’ privacy, they use the latest network building and encryption technologies and perform a global legislative risk assessment. More than 37,000 clients in over 160 countries have signed up for VPN4ALL services as they have remained true to their mission of enabling law abiding users of the internet to transmit data unrestricted and freely over the internet in a private, anonymous, and secure manner. While providing some of the best customer service, they seek to provide simple to understand and highly secure service solutions to all, including those who are fairly new to computers. VPN4ALL takes your security seriously. They have adopted military grade security measures to ensure your encrypted internet connection cannot be breached by anyone, including your network peers, government agencies, and your internet service provider. They keep your data secure as it travels from your computer across the internet. They have the strongest level of encryption available today, and they deploy it to make sure your data is encrypted with the largest bit size currently used worldwide. They offer nothing less than the AES-256 RSA 2096bit encryption used by military forces and corporate intelligence. You will also get premium anti-malware protection at the server, dynamically assigned shared IPs, secure and fast DNS lookup, and VPN connections over IPSec and OpenVPN. VPN4ALL provides an intuitive and seamless user experience. It is easy to use, powerful, time saving, and as far as I could tell, 100 percent secure. Once you have submitted your payment, you will be able to download the VPN4ALL software. Installation is very easy with simple instructions automatically popping up to guide you. Once the software is installed, you can select which server location you want and click connect. VPN4ALL works on any computer or mobile device that runs on an Android, Widows, iOS, or Mac operating system. They also offer a 99.99 percent uptime guarantee. They are monitoring their networks every day of the year, seven days per week, 24 hours a day. 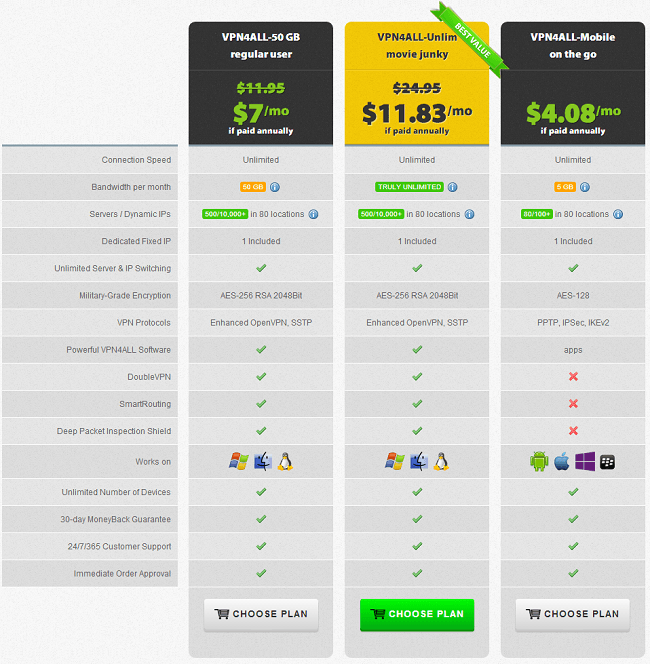 VPN4ALL offers three different plans. Before I get into the differences between them, let us look at what they all have in common. Every plan they provide has unlimited connection speeds, one included dedicated fixed IP, unlimited IP and server switching, unlimited number of devices, 24 hour per day seven days a week customer support, and immediate order approval. The least expensive plan is the VPN4ALL-Mobile on the go. If paid annually, it costs $4.08 per month. As the name suggests, this plan is specifically tailored for mobile users. There is a maximum five gigabytes of bandwidth allowed per month on this plan. Mobile users can access servers at all 80 locations, but there are a limited number of servers available to them. I tried out VPN4ALL-50 GB regular user plan. It costs $7 per month when paid annually. There is a 50 gigabytes per month bandwidth limit, which was more than enough for my purposes. You can access a ridiculous number of servers at each location and have countless IPs to use. You also get Deep Packet Inspection Shield, DoubleVPN, SmartRouting, and the best possible encryption. Their best plan is the VPN4ALL-Unlim movie junky. It costs $11.83 per month when you pay for a year at a time, and as the name suggests, it is perfect for the movie junkies out there who want unlimited bandwidth. That is essentially the only difference from the regular user plan. It has all of the same features as the regular user plan. Also, for an added $2.49 per month, you can get at the server antimalware, antiphishing, firewall, and antivirus protection on any device. VPN4ALL allows you to switch between different plans at will, and you can cancel at any time. They also offer a 30 day money back guarantee, so you can essentially test them out risk free. VPN4ALL offers a nice selection of server locations to choose from, but I still would have liked to have seen more options. There were not any servers located in Africa or the Middle East. China, Japan, and South Korea are also conspicuously missing. I am a bit of a content junky and like to see what is going on in those areas of the world. I did a search of the online community forums where they discuss VPN providers to try to dig up some dirt on VPN4ALL. For the most part, the comments were positive. 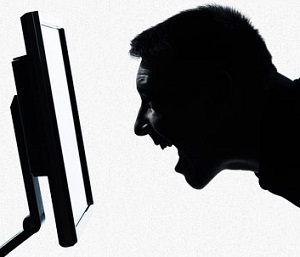 There were some who had an issue with the lack of availability for the live chat. Also, the only phone number you can call them at is an international number in the Netherlands. But, they do still offer support tickets and email. As I just mentioned, VPN4ALL offers customer support through email, help desk tickets, live chat, phone, and an extensive knowledgebase. Their customer service agents are available 24 hours a day, seven days per week, year round. The live chat is not always available. The knowledgebase was easy to search and had a wealth of information. I tried out the 24/7/365 claim by submitting a help desk ticket early on a Sunday morning. I was surprised to find a response to my query when I checked my email an hour later. The customer service representative gave me a clear and concise answer and pointed me in the direction of some supporting documentation if I wanted to read more. For users who needs are more modest, there are likely cheaper solutions on the market. But, for domestic users who want a little extra security and firepower, VPN4ALL is a solid service. If you need to have access to multiple servers in all of the different nations offered, this is the service for you. For those who require advanced networking options, the easy to install and use software is spectacular. One of the best things about VPN4ALL is that it does not slow down your connection at all. This is always a concern when connecting with a remote server, but VPN4ALL avoids the sluggishness. What strikes one most about VPN4ALL is their focus on security. They offer the best encryption currently available. Plus, they do not log your traffic at all. There are no records kept of where you visit. This is a must have in any VPN service provider with the NSA spying on everyone. Overall, I would recommend VPN4ALL to both new users and more experience users alike. VPN is important in protecting your identity these days. VPN4ALL is a great service for it.